Advances in technology, a growth in consumer demand and the emergence of space entrepreneurs are creating exciting opportunities. If you have ever asked the question ‘How do I invest in the space?’ then you are in the right place and at the right time for the right answer: Investing in Space is our business, and it is a new business. It is also a complex industry, where risk and success must be factored into investment making decisions. How Much Should You Invest in Space? This is a question that needs to be answered and is relative to your investment portfolio allocation. We recommend that no more than 5% of your total personal investments (including house, property, stocks, funds; retirement, exotic / high risk) be invested in space. Our investing strategy is to preserve capital and be conservative, we focus primarily on deal making, space shares and space companies, and as a manager of a space focussed portfolio, we recognise the risks and properly analyse the business models, the industry, and exit points, before investing. To find our more, please get in contact with us. 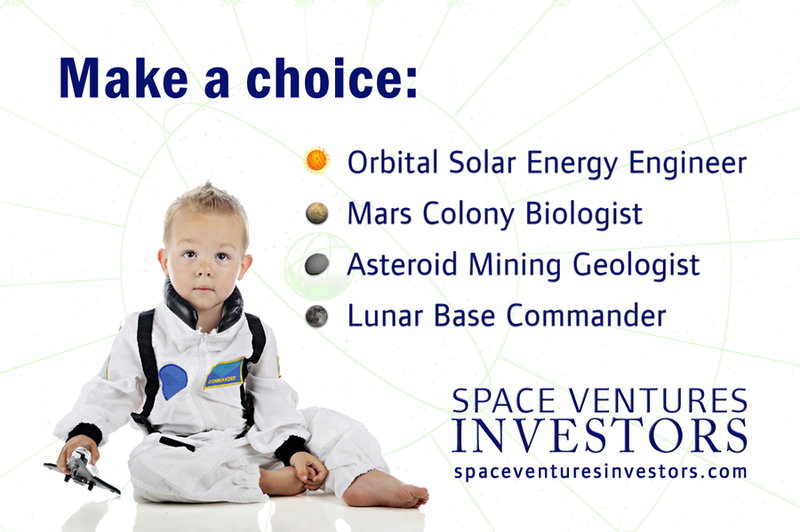 Since 2007 Space Ventures Investors has been actively finding out how real people want to invest in space. We’re building a portfolio of space start-ups and companies that are part of the great ‘build out’ from Earth to low earth gravity, geosynchronous orbits, and on to the moon and near earth objects. Raising capital for a space investing company in the modern age of interconnected financial markets, the evolution of crypto currencies and block-chain, has no impact on Space Ventures Investor’s direction: Shareholder agreements are written in plain English and covered by English Company Law, already widely recognised around the world. Alternatively, sign up to our newsletter to stay in contact and receive space investment information.